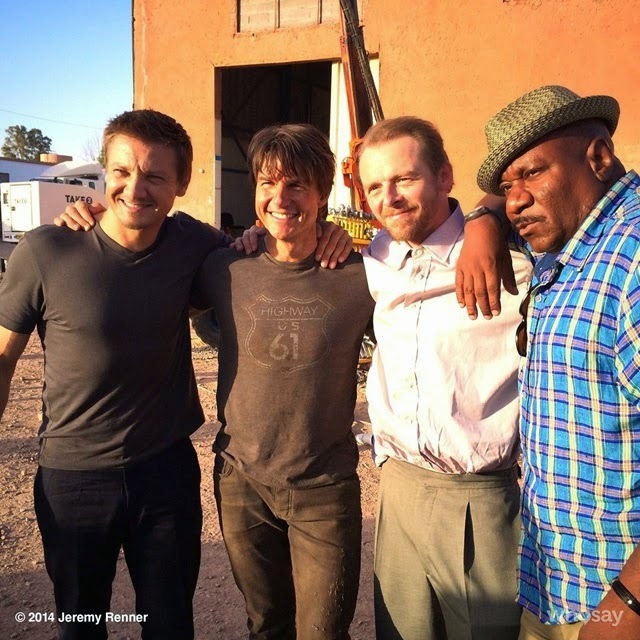 As "Mission: Impossible 5" is currently in production, we finally get the first images of the cast. 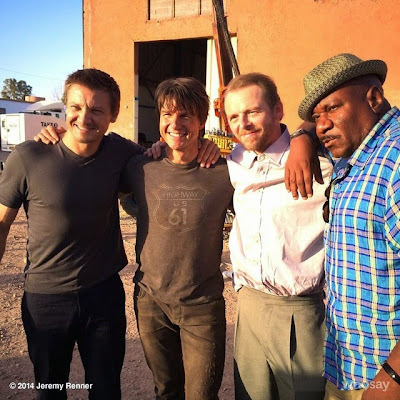 The photos show the team, specifically stars Tom Cruise, Jeremy Renner, Simon Pegg and Ving Rhames, reuniting for the sequel which will be directed by Christopher McQuarrie, the writer of "Jack Reacher", "Edge of Tomorrow" and the classic "The Usual Suspects". The cast will also include Alec Baldwin, Sean Harris and Rebecca Ferguson. No plot elements are know at this point. "Mission: Impossible 5" is scheduled for release on December 25, 2015.